If you’re stuck at the pub with no craft ciders in sight what commercial cider should you drink? We look at 9 of the most common ciders in Australia to find out, which is best, or if you should just go home? 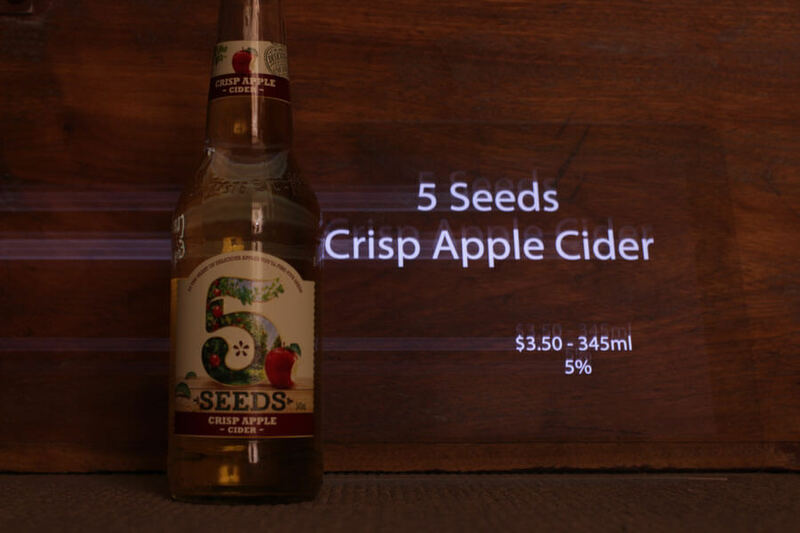 Walk into any local pub and your probably going to see a Commercial Cider like 5 Seeds, Bulmers, Dirty Grany, Magners, Mecury, Monteith’s, Rekorderlig, Somersby or even a Strongbow cider. Well, Real Cider Reviews is going to taste them all, then rank all these ciders. Yes, you’ve drunk Strongbow before. Remember a time when pubs had 3 drinks, beer, rum and Strongbow. This was the first cider I ever tried. Recently on a trip to the Philippines I had a bottle of Strongbow (British import). Interestingly it listed all the ingredients, something not seen on the Aussie label: Water, apple juice concentrate, glucose syrup, glucose-fructose syrup, CO2, burnt sugar and preservatives. While I can’t confirm if this is the same recipe that Carlton & United Breweries use in the Australian version, the flavour, with presumably 3 types of added sugar, is unsurprisingly sweet. There is a bit of bitter aftertaste but it’s masked by the sweetness. We all noticed something chemically about it. If you grow up in Tasmania, Mercury Cider will be well-known to you. This the cheapest bottle here at just 68 cents per 100ml. It’s also Carlton & United Breweries’ second cider on today’s list. A golden colour with a frothy head. The smell is closer to a traditional cider; it’s got a taste more like a cider made from old-fashioned cider apples. It’s hard to tell what types of apples it’s actually made from but they make an attempt at creating a farmhouse scent, but it is only an attempt. Mercury Draught is sweet cider, not as sweet as the Strongbow but still sweet. Our cider was first created in 1999 with the purest spring water from Vimmerby, Sweden. Why, oh why are you proud of your water? There is no need to add water to your cider. The more water you add, the less room for real apple juice. You may have noticed water doesn’t have a lot of flavour compared to juice. The bottle calls this a dry Äpple cider. Could this be Rekorderlig’s cider that isn’t so sweet that you get carried off by sugar ants shortly after drinking it? In short, no. It’s still as sugary sweet as a Willy Wonka riding a pink unicorn. Unfortunately sugar is the only flavour here. Nothing about it is appley. The best analogue for this is Sprite. The drink is clear white, without a smell. The only complexity in the flavour is a chemically after taste. I think the umlaut over the Ä must be a typo. I think it should have been a set of sarcastic quotation marks. Normally Green and brown bottles are used to block the sunlight, which deteriorates flavour and colour. This definitely doesn’t need to be in a brown bottle. These two elements are absent, so what is it protecting apart from the marketing image? From the Tooheys Brewery, 5 Seeds Cider started under the Tooheys Extra Dry label, After some rebranding the 5 Seeds bottle would look at home on Kristie Allsopp Kitchen shelf – craft washing. So the label says “…Sparkling cider from crushed orchard apples to deliver a champagne-style aroma and rich apple flavour. Medium sweet and light in colour” A fair description all bar the aroma, which is more eggy (sulphur) than champagne. The rich apple flavour reminders me of a tradition English pub cider. The after taste is a bit chemically. Carlsberg’s entry into the cider game. If Carlsberg made commercial cider would it be the best cider in the world? No. 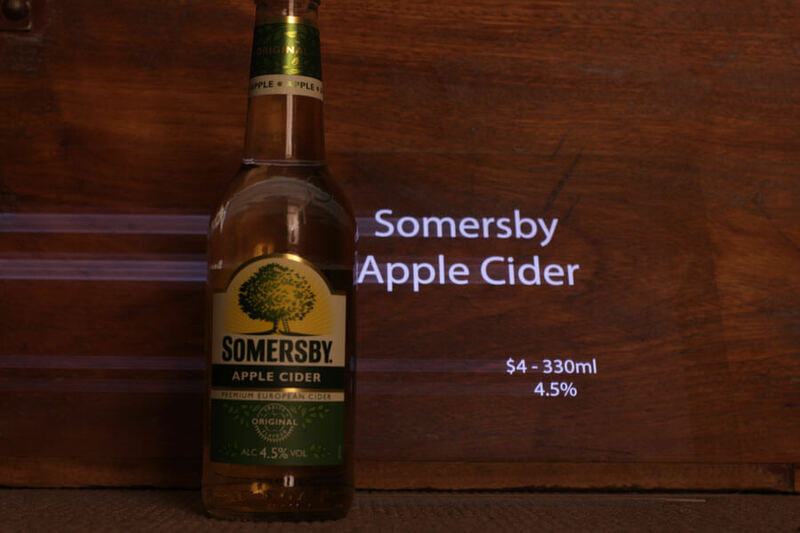 There isn’t much I can tell you about Somersby Cider, there is basically no information about it on its website only that it’s made from “fermented apple juice and natural apple flavouring”. Is that ringing alarm bells for anyone else? Is natural apple flavouring somehow different to fermented apple juice? It feels like a sentence written in the legal department. The label goes onto say “What’s your first choice to satisfy a real choice” and “…with its delicious juicy original apple taste, and 4.5% alcohol!” More alarm bells. Firstly, original apple taste? Why is your flavour original? Did you invent a new apple? 4.5% alcohol Exclamation Mark. Wow one of the biggest alcohol companies in the world made a drink with 4.5% alcohol. They seem proud of their efforts. This medium gold cider has a big perfume and big flavour. The problem here if your going to have a bold flavour, you better make it a good one. That “natural” apple flavouring manifests itself in a way that reminds me of a cheap apple boiled lolly, the type you get in a show bag at the Royal Easter show. Not so natural. Maybe the label was made on an Apple Mac? That would make one apple in the production process. This Cider from New Zealand has been showing up everywhere lately. At the top of Monteith’s family tree is Heineken. Monteith’s was originally founded in 1868 as a family brewery making beers and ciders. In 2001 Monteith’s was snapped up by DB Brewers, who, intern are owned by Asia Pacific Breweries Limited a subsidiary of Heineken. We found the Monteith’s to be very sweet, sweeter than most others we’ve tried today. It’s much less artificial though. Presumably due to the New Zealand apples. Over all, the Crushed Apple Cider is very light in both colour and flavour. With ice it’s easy enough to drink. Bulmers, The English cider maker and not the Irish commercial cider maker that makes Magners, which is sold in Ireland as Bulmers. The two companies where one in same in the early days. But the 2 companies parted ways in 1949. It would be easier to explain string theory than it would be to explain this relationship. Bulmer’s in Australia is another cider in the Carlton & United Brewery catalogue. 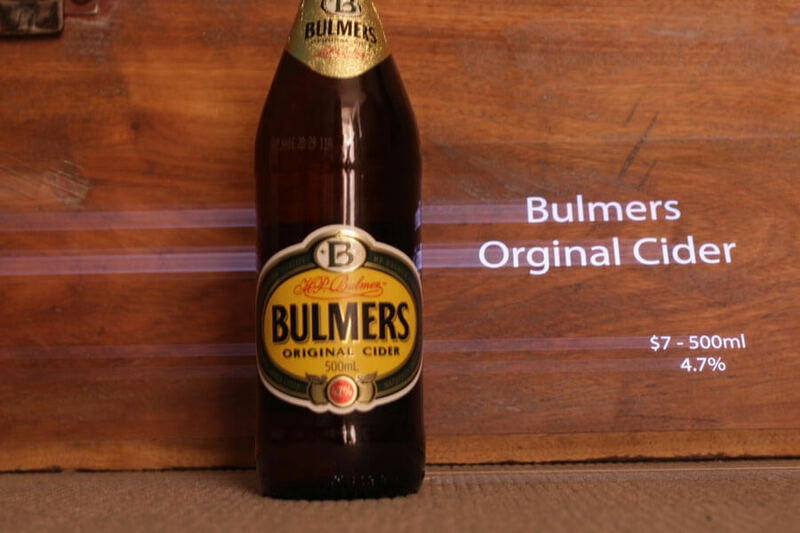 Bulmers makes the darkest cider on this list. It’s also one of the driest. It’s very bubbly; these bubbles whip up a bit of an unpleasant smell. Bulmers finish is quite crisp but it does highlight another chemically after taste. Matilda Bay was Australia’s first new brewer this side of WW2 opening its doors in 1984. Since then the craft beer and cider scenes have grown rapidly. Within 10 years Matilda Bay had been gobbled up by, you guessed it Carlton & United Breweries. The Dirty Granny is a dark honey colour. The Dirty Granny is made from a large percentage of Granny Smith apples, this accounts for the tartness and medium sweetness. The Dirty Granny is the only cider on this list that you would have a chance at identifying the apple varieties used. But without a ingredients list one can never be sure what one is drinking. Love it or hate it, with out their “Over Ice” campaign, I would not be writing about cider and you probably wouldn’t be drinking it. 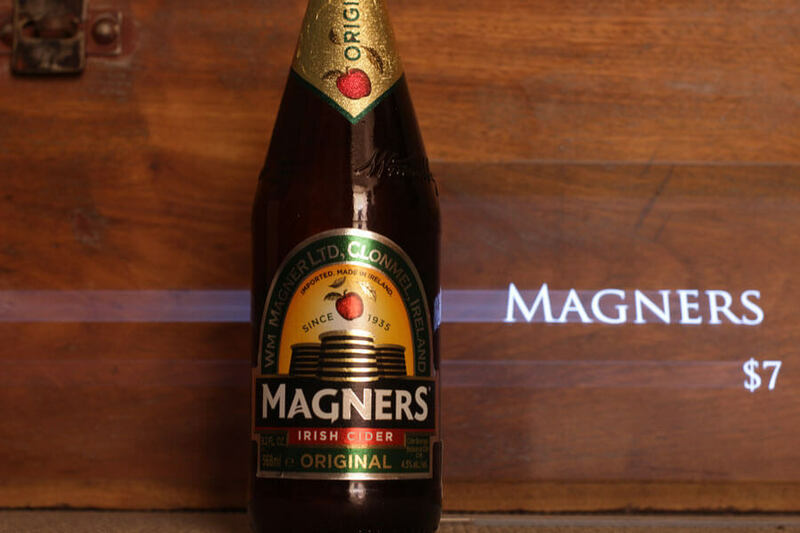 Magners or Bulmers as it is sold as in Ireland, can largely credited with bringing cider back to the main stream in the mid noughties. Magners cider is amber with a pink tinge. One of the few ciders here that display so bitterness. Sarah commented that the smell reminded her of a fresh Band-Aid, a sort of antiseptic scent. A medium sweetness. Once we added some ice the cider was much more enjoyable as it had mellowed out. Which should you choose at the bar? Well that was a lot of sugar and faux vintage from Johnny Come-Lately labels owned beer companies. The real problem with this list is you simply don’t know what you’re drinking with these commercial cider. Everything you buy at the supermarket has a list of ingredients. Here in Australia alcohol producers only need declare things like sulphur. As we saw with the imported Strongbow the list of ingredients is a mile long. If I can’t spell it I try not to consume it. Your typical craft cider only has 3 ingredients, real apple juice, yeast to ferment and sulphur to preserve it. Some only have apple juice and rely on wild yeast. Lets hope ingredients list become mandatory soon. You may think I am being harsh but these are quite far behind where most ciders I reviewed and they are a mile behind my favourite ciders of 2014. In general they are overly sweet and lack sophistication. They are simply not real ciders. While researching this, I was shocked by the trees of ownership behind these commercial cider, half the list is owned by Carlton United Brewers, which is owned by SAB Miller. Oddly, Rekorderlig is the most independent but even it, is a joint venture between Coca-Cola and a marketing agency. I don’t have a problem with huge multinationals but at that scale how can you pursue a flavour goal all the way from paddock to pint without the help of an industrial chemist? If you are from one of the companies mentioned here, please let me know how you do it. The question remains if you’re faced with a similar choice which of these ciders should you choose? First thing to do is look into the fridges, ask the bar staff what that have. If they have small name cider lurking in the fridges, give it a go, support someone who grows their own apples to make their own cider, try something new, it’s always more fun. Failing that have a quiet word with publican and suggest a few names. Somersby Apple Cider – Avoid, unless you’re into apple-flavoured lollies. Not worth your money or the tooth decay. 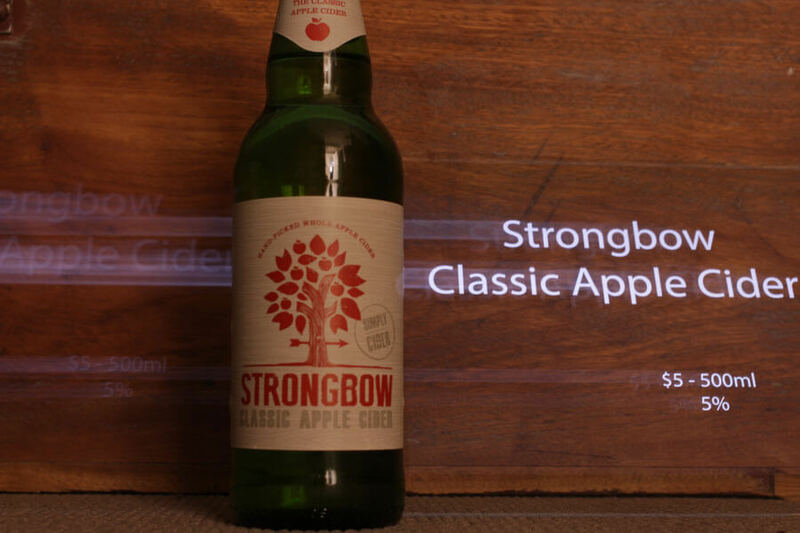 Strongbow Classic Apple Cider – only better than Somersby by a hair. 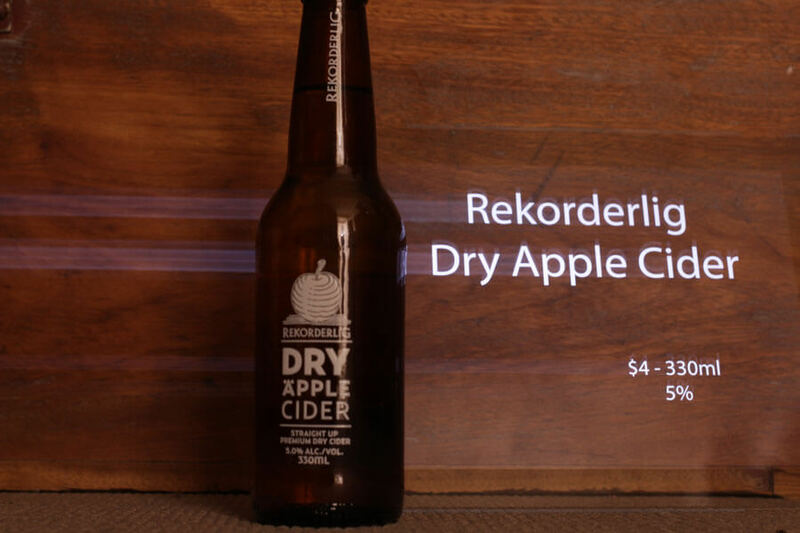 Rekorderlig Dry Äpple cider – Basically alcoholic lemonade not really a cider by any definition. 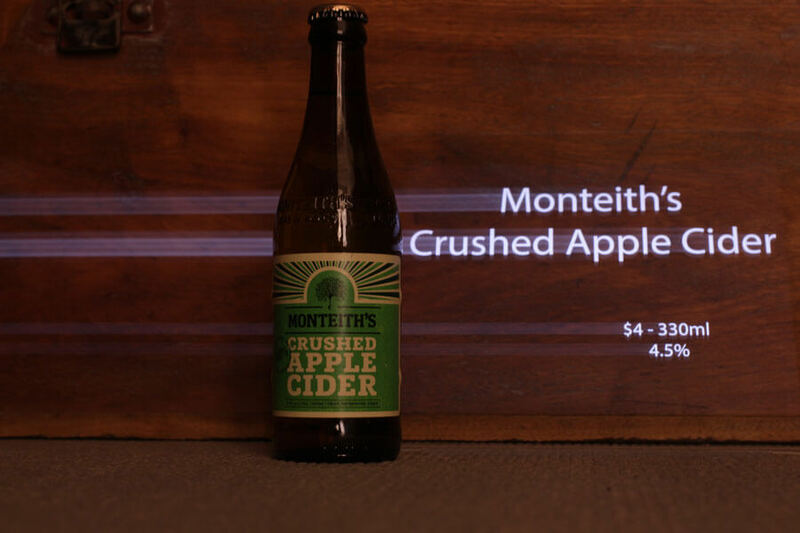 Monteith’s Crushed Apple Cider – The list is becoming drinkable. Monteith’s sits this low in the list because its flavour is so subtle. It does improve with ice. 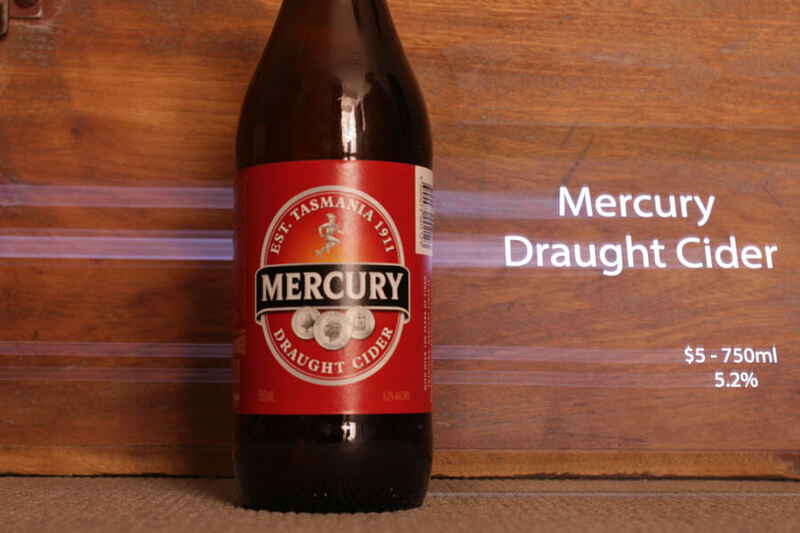 Mercury Draught Cider – Aside from the overt sweetness, this most traditional flavoured cider. 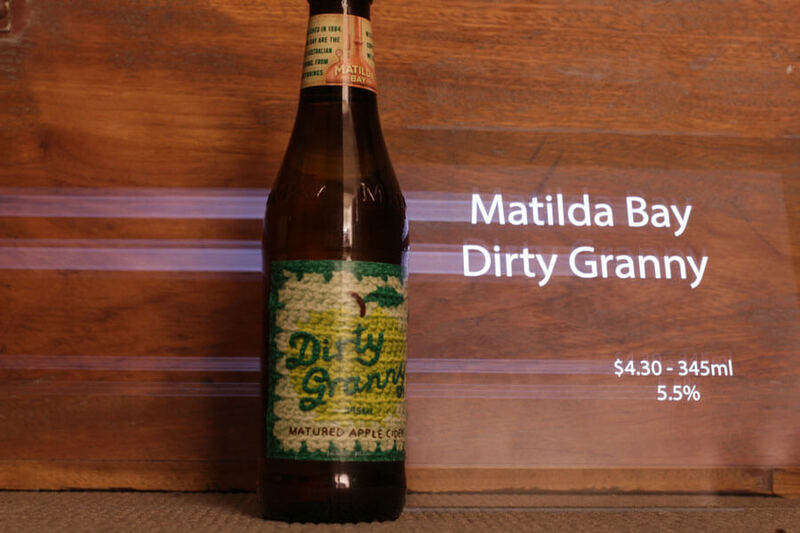 Dirty Granny – The small-scale roots shine through. The bar is pretty low but the Dirty granny is the best choice from this list. Do you agree or disagree let me know in the comments below? Yes, the ciders made from frozen paste (concentrate) need to label themselves. It is the difference between a disgusting supermarket ‘orange juice’ and a real smoothie made from actual fruit. All of these are bad, really. As a Cider and Real Ale drinker, I was shocked to find out a drink I have avoided most of my alcohol drinking life is actually better for me (as per the indigence list) than something like Strongbow or Guinness…. Heineken!